Romanticism Redefined: Pickering & Chatto and The Wordsworth Circle is a searchable collection of works focusing in the period between 1800 and 1830, that will bring academic research libraries a new, genre-redefining electronic collection of Romantic-era literature. In partnership with Pickering & Chatto Publishers, Alexander Street Press will publish in this collection canonical and previously unrecognized writers from Britain, the British Empire, and North America. 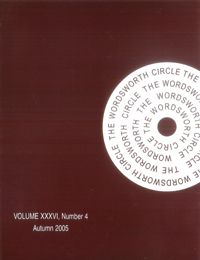 Founded in 1970, The Wordsworth Circle is an international scholarly journal that publishes to this day contemporary studies of literature, culture, and society in Great Britain, Europe, and North America during the Romantic period. It focuses on the lives, works, and times of such writers of poetry, novels, drama, and non fiction wroks (science, politics, religion, aesthetics, education, legal reform, music). In the eighteenth century the term 'science' was used in the sense of 'knowledge' of all sorts. In 8 volumes, Literature and Science reproduces, in facsimile, primary texts which embody the polymathic nature of the literature of science. This six volume set presents reprints of original and often rare pamphlets from metropolitan and provincial sources, tracts, caricatures, parliamentary debates, and other material on suffrage. 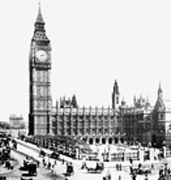 It covers the expansion of suffrage to middle class and working class men, and their efforts to extend these reforms to women and the colonies.